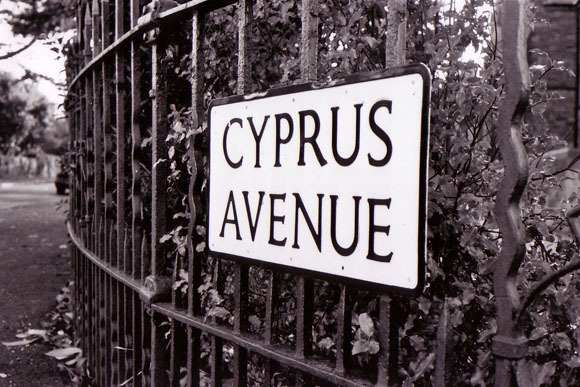 Cyprus Avenue is one of the vital postcodes in popular music. It is our Penny Lane, our Strawberry Fields, our Waterloo Sunset. It has outlasted a moment in the Sixties and it continues to resonate. The particulars belong to Van Morrison and while it is dense with his own meaning and suggestion, it invites each listener to find their personal aspect in the trees and the drama of Belfast, BT5. The Avenue is a central motif in Van’s work. It features in at least six of his songs and much of the time it gives him rapture and intense recall. On one level, this is a response to the actual location with its 85 trees, its wide thoroughfare and the mansions of red brick and sandstone. All of this sets off intimations of glory. In his own terms, it’s a portal to another time, another place. Like Pip in Great Expectations, Van Morrison was the youth from the marshland on the edge of the village who was charmed and overwhelmed by a world beyond his reach. He was born a citizen of Belfast, but his manor was Bloomfield, bordered by the Knock River (aka the Beechy) and the North Road, sectioned by Holywood Arches and the Upper Newtownards Road. It is less than half a square mile, tilting up to the east towards the Holywood hills, looking north to the channels of the shipyard and Belfast Lough. He was a Hyndford Street boy with just Abetta Parade between himself and the river. The terraced housing was put up on drained sand flats at the turn of the Twentieth Century, near the convergence of the Knock and the Loop Rivers. From this point on, it was known as the Connswater. The street opened onto the Beersbridge Road, once the chief thoroughfare to Bangor. Directly facing the street was the Owen O’Cork Mill (most likely Abhainn na Coirce, the river of the oat mill), built on the site of Beers Mill, which processed corn. 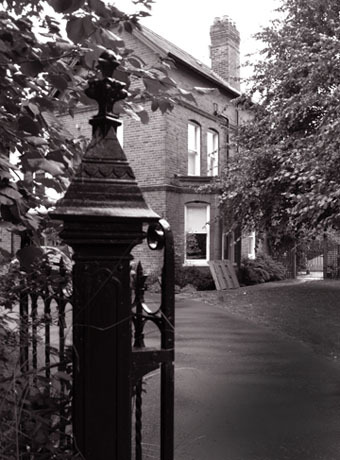 The more recent building was established in 1835 and expanded in 1873 for the production of jute and linen and the incoming rush of the industrial revolution. The houses south-west of the Bloomfield Road were built in haste to locate a workforce for the Rope & Twine Company and the shipyard, the mills, foundries and the engineering complexes like Sirocco, Musgrave and Hughes. There was a massive influx of people to Belfast, a 36% uplift, 1891-1901. Many of the new arrivals from east Belfast had literally walked in from Craigantlet and Moneyreagh, Comber and Holywood. They were soon aware of the maritime connection, courtesy of the foghorn, blowing out over East Twin Island. There were no pubs in Bloomfield but an array of churches, including St Donard’s Church of Ireland, Bloomfield Presbyterian plus Congregational, Baptist, Methodist, a variety of mission halls and testifying street preachers, passionately born again. Sunday observance was total and the only sound then was the peal of the six bells at St Donard’s, consecrated in 1949. It is on the north-east of Bloomfield where things get especially interesting. In the area map of 1835, this is sparsely populated, save for a big house called Fair View. A little later, the Bloomfield Land And Building Company started selling off leases. By 1895, the trees of Cyprus Avenue are in place, plus a dozen detached houses. An unknown planner had arranged for this part of the city to have a spectacular boulevard, aspiring to the Parisian, Haussmann style. On the 1902 map, the spaces have been filled and Cyprus Avenue is largely what is it today. The speed of development ensured a coherent look to the houses; three story, bay windows, wrought iron railings and gates, mostly detached and set back. Some of the homes had an outhouse at the rear for their pony traps. The Avenue was designed to impress. Van was smitten. The wealthy started to move east of the Lagan en masse after 1848, when the Belfast & County Down railway started running from Queen’s Quay to Holywood. Two years later it headed for Comber and Newtownards. A train halt opened at Bloomfield in 1879. The engine was a 2-2-2 type with a tender and no cab. Transport in the flat-sided four wheel carriage, lit by oil was much smoother than the horse-drawn option. In 1890, the Connswater Bridge was widened to take carriages and then horse trams and six years later the Belfast boundary was extended to include Bloomfield. Part of the movement of the gentry was to escape the inner city wards with overcrowding and disease. During this period of change, TB accounted for 49% of deaths aged 15-25. There were severe outbreaks of whooping cough, influenza and measles. 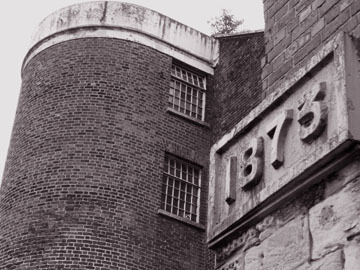 Infant mortality was the worst of the British cities in 1938 with 96 deaths out of 1,000. The 85 trees of Cyprus Avenue include Corsican Pine, Lime, Beech, Sycamore and Maple. It is a mixture of deciduous and coniferous. There is a green presence in the summer and winter also. Cyprus Avenue is the most densely tree-populated street in Northern Ireland. The avenue is now a conservation area and no road works are permitted to interfere with the tree roots. There is no cable TV for the current burghers of this area. The name Cyprus Avenue may be a reference to Empire. Yet the tree connection seems like an obvious one. Over the years, many writers have called it Cypress Avenue. Interestingly, there is a location called Sagimore Gardens nearby. Local folklore says this this was supposed to read Sycamore, but a rural worker from the building firm was sent to the Land Registry office and his pronunciation was registered phonetically. With this in mind, Cyprus may have actually been intended as Cypress. In 1990, the oldest residents of the area told their stories. The Misses Duffin of Cyprus Gardens remembered characters such as Mr Beattie, the King’s Councillor who eventually set up on the corner of Cyprus Avenue and Kirkliston Drive. Then there was the Rev. Duff who used to admire his appearance in a mirror secreted inside his top hat. One of his daughters was Social Correspondent of the News Letter. There were military figures such as Captain Mitchell, uncle of the famous soldier Blair Mayne, as well as Captain McIntyre the Harbour Master, plus Sydney Hanna the jeweler and Mr. Abernethy the much-respected photographer who traveled each day by pony trap. There was another account by Miss Barker of 25 Cyprus Park. She was born in 1903 and in her youth, she could get an uninterrupted view across Orangefield to the Castlereagh Hills. She recalled Bloomfield Collegiate School for girls and McMaster the builder, plus a nearby home for women inebriates and the temporary rectory for St Donard’s at 44 Cyprus Avenue. She talked of farm bells and a nursery garden and the low-lying area by the Beechy that was “very wet and often surrounded in mist”. Other characters not mentioned in these accounts include Roderick Chisholm and Artie Frost, employed in the H&W drawing offices and worked on the plans for the Titanic. The sibling writers, Helen and Samuel Waddell also featured. Another Reverend, Ian Paisley, moved to the area in the Sixties and remained until his death in 2014. Van Morrison talked about his personal topography when he appeared at the Lyric Theatre on January 5, 2015. The occasion was the publication of Lit Up Inside, the selected lyrics, by Faber & Faber. In conversation with Eamonn Hughes, Van referred to Bloomfield as “a Blakean micro-cosmos”. William Blake (1757-1827) said he experienced his first vision by Dulwich Hill in Peckham Rye. He was 9 when he encountered an oak – “a tree filled with angels, bright angelic wings bespangling every bough like stars”. Thereafter, he communed with the spirit of his dead brother, with ancient artists and philosophers. He saw angels walking with the haymakers in the morning and his mother was mortified when he said he had been with the Prophet Ezekiel “under a tree in the fields”. He conversed with the Spiritual Sun on Primrose Hill. His wife Catherine said “I have very little of Mr. Blake’s company. He is always in paradise.” Yet the artist also railed against the satanic mills and he empathised with the chimney sweep, the soldier and the prostitute. Hence the blazing extremities of Songs of Innocence And Experience. Van is the laureate of the window cleaner and the herring seller, the writer who tunes into the energy patterns of the transistor radio and the electricity pylon. He started recording songs about Cyprus Avenue as early as 1967. Around the same time he came up with ‘TB Sheets’, a deathbed vigil for Julie in a room that’s suffocating, full of dread and guilt. He writes about a rent boy who “flogs his daily meat” in ‘He Ain’t Give You None’. And on ‘Slim Slow Slider’, the girl is on heroin, not long for the world. The two sides of his 1969 album ‘Astral Weeks’ are titled ‘In The Beginning’ and ‘Afterwards’. William Blake would have got it. ‘Cyprus Avenue’ is on this collection. In literal terms, not much happens. There’s a guy and a girl and a bunch of intense feelings. But in Blakean sense, it’s all going on. Van’s suffers an epiphany there, leaving him conquered in a car seat. He becomes aware of each individual leaf falling. He hears snatches of songs like Hank Williams’ ‘Mansion On The Hill’ and Elvis, tongue-tied on ‘All Shook Up’. The singer is only yards away from the North Road Railway Bridge. But the line closed down in 1950, the steel rims are immobile. Still, the singer is aware of those phantom engines and the lonesome old voices, reminding him of Jimmie Rodgers, the tubercular singing brakeman. This disused cutting is inhabited at night by teenagers and their bottles of wine and the narrator thinks about this option for a moment. Is there a more famous bunch of trees in Ireland? Possibly the Dark Hedges. Writing about these in pre Games of Thrones times, Seamus Heaney found his soul being transported by the columns of weather-lashed Scotch firs in North Antrim. The poet and essayist Gerald Dawe is constantly drawn back, and in ‘The Rest Is History’, he provides a context to the swaying vision of Madame George in this seemingly respectable parish. The opening sequence of Taxi Driver finds Scorsese paying homage to the same music, this time connecting to the dislocated ache of the character, never allowed to belong. The author and music agent Paul Charles has published a novel, ‘Down On Cyprus Avenue’ in 2014, “a murder mystery set in modern day Belfast” while Alice McCullough has written ‘The Lion’s Roar’ from the perspective of a local and then recited her works down in the hollow by the Beechy during the Eastside Festival. The songwriter Brian Houston walks the same streets and namechecks Dr Bolton’s Surgery on North Road on ‘Long Way To Franklin’, immersing himself in that psychogeography. U2 borrow lines from ‘Madame George’ in ‘A Sort of Homecoming’ and breathe in the same rarefied air on ‘Promenade’. As they should. Back in 1967, Van was writing about the Avenue as an outsider, the working class kid who could not afford admission. In the intervening years he has been fairly protective about his source of inspiration. Now here he is on his 70th birthday, playing live on the Avenue, feted by the residents, by the city, by the international arrivals of so many Vanoraks in a shared, generous event. The Avenue knows his name and the boy from the misty hollow belongs, absolutely. With acknowledgements to John Auld, Jonathan Barden, Thompson Steele, Victor Kelly, Gerald Dawe, Davy Hammond, William Mc K. Hutton, The Belfast & County Down Railway Museum Trust, The East Belfast Historical Society and the Cyprus Avenue And Area Residents’ Association.